First, Terrapin is in Athens, but not IN Athens; It's a little drive to the outskirts of the town. Second, despite the little drive, it's still within Uber range and not a large fee for the trip due to low traffic and high speed limits. I’d highly recommend taking an Uber. 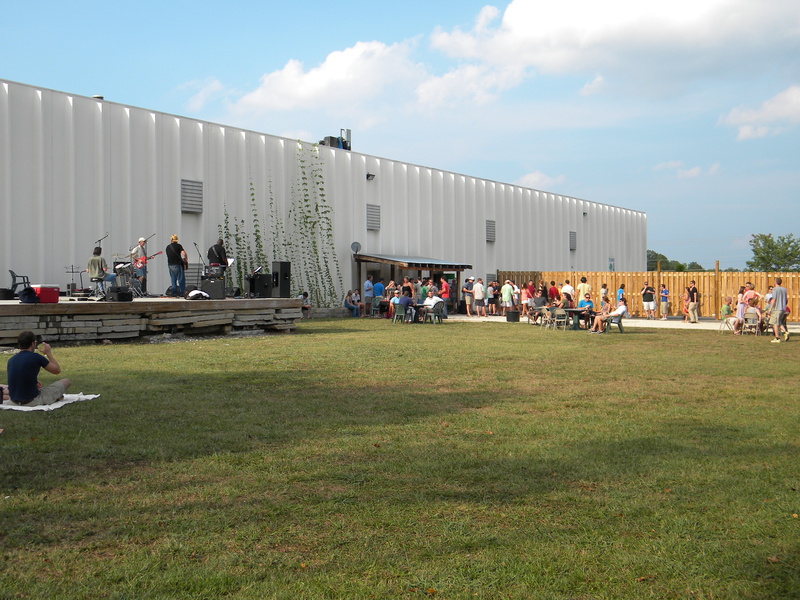 Terrapin's brewery has an excellent set-up for a visit with a large outdoor area including separate taps, a stage area, corn-hole games, and dogs are allowed and always present. For the hotter days (which seem to include all of my visits), there is an indoor area with many, many taps, and many varieties of beer offered. If you happen to catch this brewery on a day that is not overcrowded, then you will absolutely love this visit. That beings said, prepare for a crowd; the word is out: Terrapin’s beer is amazing. Not only does Terrapin have some of the absolute best beer in the US, but it also has variety. Good luck visiting this location and trying not to find a beer that you like. 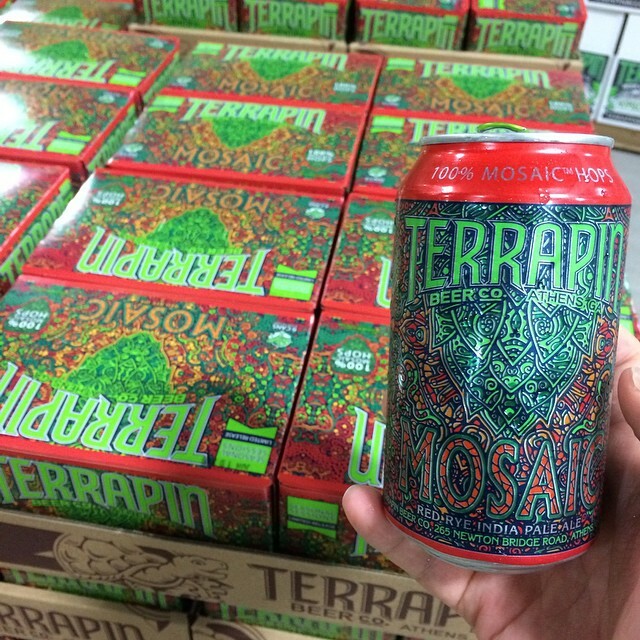 From the tame drinker's favorite Golden Ale, to the now classic IPA - Hopsecutioner, Terrapin has shocked me with its constant growth in selection. They now have Goses', saisons, wheats, pilsners, stouts, porters, and everything else you can think of; but I am still drawn in by their amazing selection and top quality IPAs. This brewery is just as good for first time craft beer drinkers as it is for the grand master beer judges. I recently attended a bottle sharing event with a large number of Terrapin brewers, and after having visited the last Terrapin anniversary party and seeing countless new and amazing brews, was concerned about the more recent MillerCoors buyout. I have seen a number of craft breweries be bought out by bigger brothers and then their taste starts to turn towards the mainstream of soft, unobtrusive flavors, rather than the bold directness of more outrageous flavors that I tend to enjoy. I timidly asked this group brewers what was going to change for the brewery, what was going to change for them, and what we could expect to see changing as consumers. I had an idea that this might strike a nerve that would hit a little too close to home, as these were their lives potentially being altered. The resulting responses could not have been better: “Nothing.” As one of the brewers handed me another can of their Mosaic Red Rye IPA, he told me that they were now receiving health benefits under the hand of their new owners, but were told that no other changes or restrictions what-so-ever were tied with the update. They are still encourage to continue with their experimentation and promotion of new and exciting beer. This to me, is an excellent source of relief, and very encouraging for the craft beer world in general. Seeing good things, like new health benefits but no changes to the existing processes, shows that larger breweries like MillerCoors are starting to recognize the the craft beer world and rather than still trying to destroy it, they now are want to embrace it. Again I have to say, this is a great time to be a beer fan! If you want to be a true craft beer enthusiast, you have to visit Terrapin and experience the range of beers they have to offer. Current Best Beer: Mosaic Red Rye IPA - This beer is slightly deceptive; its ruby red color appears to be more malty than the beer actually is. Its well balanced, allowing the aromas and flavors of the Mosaic hops to shine through with fruit and floral character. Delicious!